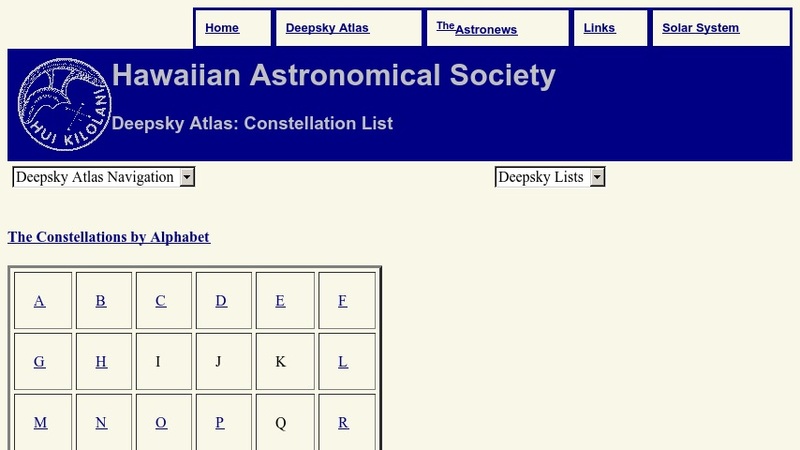 At this Web site, the Hawaiian Astronomical Society provides users with educational information for over seventy constellations. First, visitors can read the amusing myths associated with each constellation. Following, students will find interactive, wide view and binocular width maps depicting the locations of the constellations, stars and deep sky objects. Everyone can enjoy the many remarkable images of the Deep Sky including globular clusters, Flaming Star Nebula, and elliptical galaxies.